The GUE Recreational Diver I course is the most complete open water diving class offered in the world. GUE's goal in developing this course was to create a class that was superior to the current industry standard, and the resultant course significantly exceeds the bare minimum skill level currently accepted as proof of open water diver "certification". The end result is a diver who is far more competent, safe and comfortable in the water and far more likely to continue diving after their initial training. This is not a course designed to achieve your diver certification in the minimum amount of time with the minimum amount of effort and a minimum standard of evaluation. This course is significantly longer than the standard open water course and the maximum student to instructor ratio is considerably lower than other classes. There are a minimum of 10 lectures covering academics, a minimum of 10 confined water dives and a minimum of 10 open water dives covering the application of your learned skills in the open water environment. This is not your "run-of-the-mill" scuba class. The Rec I program is based on GUE's proven method of building a solid set of foundational skills and then adding newer skill sets to this foundation, all the while keeping the end goal in mind. Students will develop a solid understanding of diving physics, physiology, the underwater environment, gas management, decompression, and nitrox as well as a solid background in diving equipment. Student will also learn on dry-land those skills that will then be introduced and practised in the confined water sessions. 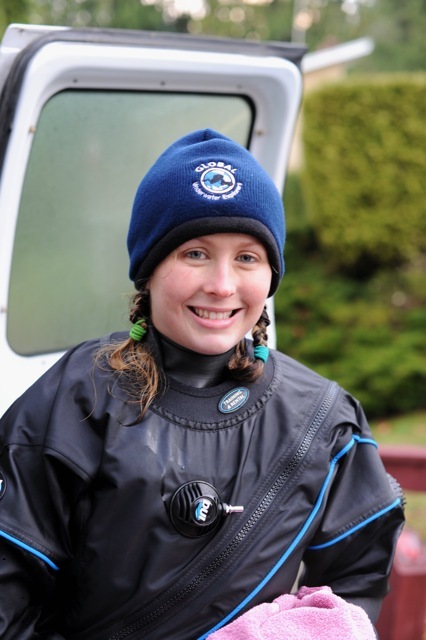 Once the student has built up confidence in his or her abilities and skills, they are then introduced to the open water environment where the skills are again practised and mastered. They will learn practise, and achieve a solid level of performance in the foundational skills of buoyancy control, trim, propulsion, communication, stability and positioning. The end result is an Open Water diver with Open Water Certification, Nitrox certification, Basic Rescue Techniques, and Dry Suit Diver training. A GUE Rec I pass is equivalent to a GUE Fundamentals recreational pass. The GUE Rec I course is designed for the individual who wishes to learn to dive and does not want to settle for "second best" in terms of their training. We believe strongly in "doing it right" from the beginning and not having to revisit the original "foundation" of our training and the GUE Rec I course is designed to do precisely that. Students who pass the GUE Recreational Diver Level I course will not be required to pursue the GUE Fundamentals course. The GUE Recreational Diver 1 class is an 8 – 10 day program (logistics represent a controlling factor). The class can either be taken as a continuous process over 8 – 10 days or the class may be divided over a longer time frame such as 3 – 5 weekends. GUE Recreational Diver 1 involves a minimum of sixty (60) hours of instruction, encompassing both classroom and in-water work. The training components contain 10 confined water dives*, 10 open water dives* and 10 lectures. The dives/lectures in each training component is spaced over 4 modules to facilitate gradual capacity build-up and ensure that student capacity evolves while always remaining comfortable during training. As for the in-water training, these components begin with the very most basic scuba skills (buoyancy, trim, propulsion, stability and breathing control). Having established a baseline of fundamental skills the remainder of the in-water training continues to cultivate the student’s capacity based on the solid foundation that have been established from the very beginning. Apart from the basic skills team work, GUE principles and techniques included in the criteria for the GUE Fundamentals Recreational Pass is introduced and practiced. Course requirements include a minimum of sixteen (16) hours of academics and twenty (20) in-water sessions. Submerged: Mastering the ARt and Science of Scuba Diving. Global Underwater Explorers, 2006, High Springs, Florida. 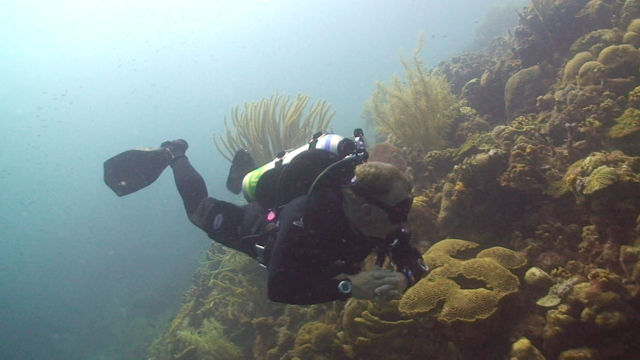 Beginning with the End in Mind - The Fundamentals of Recreational Diving. Jesper Berglund. Global Underwater Explorers. 2008 Stockholm, Sweden. Demonstrate proficiency in safe diving techniques, including pre-dive preparations, in-water activity, and post-dive assessments. Demonstrate awareness of team-member location and concern for safety, responding quickly to visual cues and dive-partner needs. Efficiently and comfortably demonstrate how to donate gas to an out-f-gas diver, followed by an ascent to the surface, utilizing minimum decompression. Comfortably demonstrate at least two propulsion techniques that would be appropriate in delicate and/or silty environments. Students should demonstrate comprehension of the components necessary for a successful backward kick. Demonstrate aptitude in the following open-water skills: mask clearing, mask removal and replacement, regulator removal and exchange, long hose deployment. Tanks/Cylinders: Students may use a single tank cylinder with a K-, H-, or Y-valve. Students many also use dual tanks/cylinders connected with a dual-outlet isolator manifold, which allows for the use of two first-stages. Backplate System: A rigid and flat platform of metal construction with minimum padding, held to a diver by one continuous piece of webbing. This webbing should be adjusted through the plate and should use a buckle to secure the system at the waist. A crotch strap attached to the lower end of this platform and looped through the waistband prevents the system from riding up on the divers back. A knife should be placed on the left webbing tab. This webbing should support fir D-rings; the first should be placed on the left hi, the second should be placed in line with the divers right collar bone, the third should be placed in line with the divers left collar bone, the fourth and firth should be affixed to the crotch strap to use while scootering or towing/stowing gear. The harness below the diver's arms should have small restrictive bands to allow for the placement of reserve lights. The system should retain a minimalist approach, with no unnecessary components. Buoyancy Compensation Device: A diver's buoyancy compensation device should be back-mounted and minimalist in nature. It should be free of extraneous strings, tabs, or other material. There should be no restrictive bands or "bungee" or any sort affixed to the buoyancy cell. In addition, diver lift would not exceed 50 lbs /25Kg for a single tank and 80 lbs / 40 Kg for double tanks. Wing size and shape should be appropriate to the cylinder size(s) employed for training.